The fun and zippy rear wheel drive sports car that we have adored for many years since its 2013 model year conception has continued to receive welcomed tweaks and updates. For the 2017 model year, the Subaru BRZ gets additional add-ons and its most significant change to incrementally improve upon its overall performance but to never overshadow its sharp-focused purpose of being one of the rawest forms of a lightweight and fun-to-drive small-factor sports car. 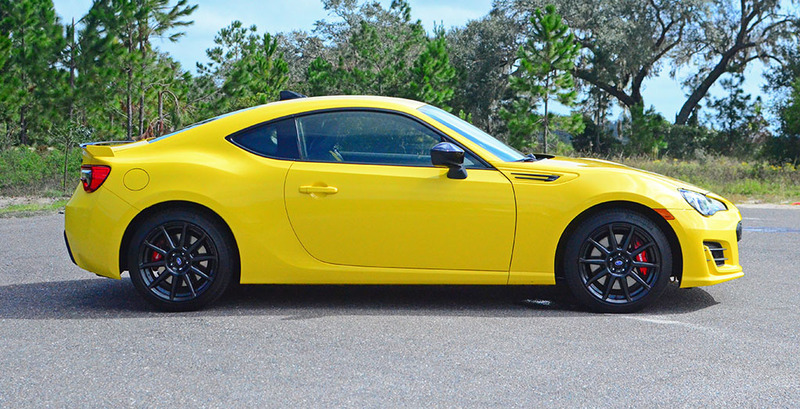 In what was probably not the initial intention of Subaru and Toyota when they first introduced the BRZ and 86 (formally the Scion FRS), the nimble rear-wheel-drive sports coupe has more of a niche following. While not quite the record seller in the fleet, the Subaru BRZ has held its own to make due with its now 205 horsepower and 156 ft-lbs of torque, up by 5 digits respectfully. 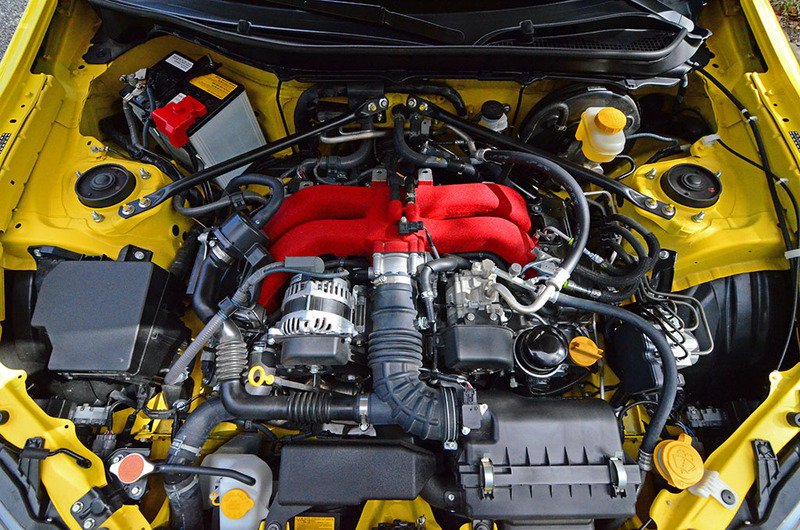 With the direct-injected flat-4-cylinder engine mated to a 6-speed manual transmission, the BRZ is a fun mix. 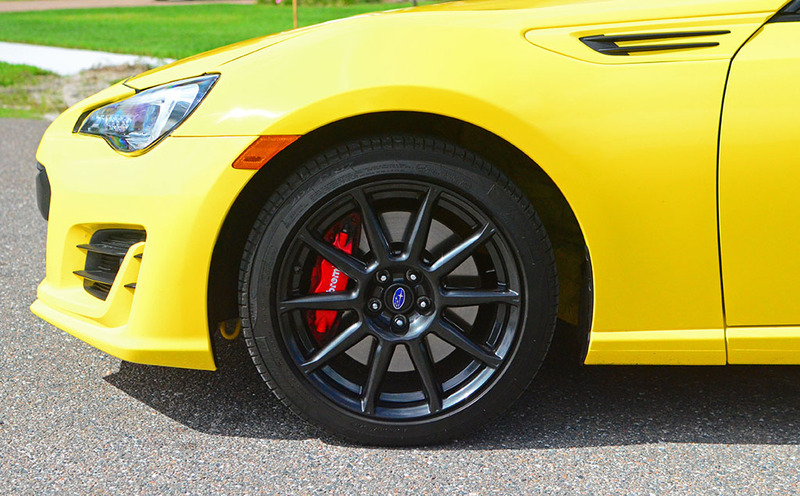 The larger brake rotors over the normal BRZ, 4-piston front and two-piston rear Brembo brake calipers, Sachs dampers, and wider 17-inch wheels at 7.5-inches wide all add to the concept of a more effective vehicle when pushed to its limits by the way of the optional $3345 performance package found on the BRZ Series.Yellow. 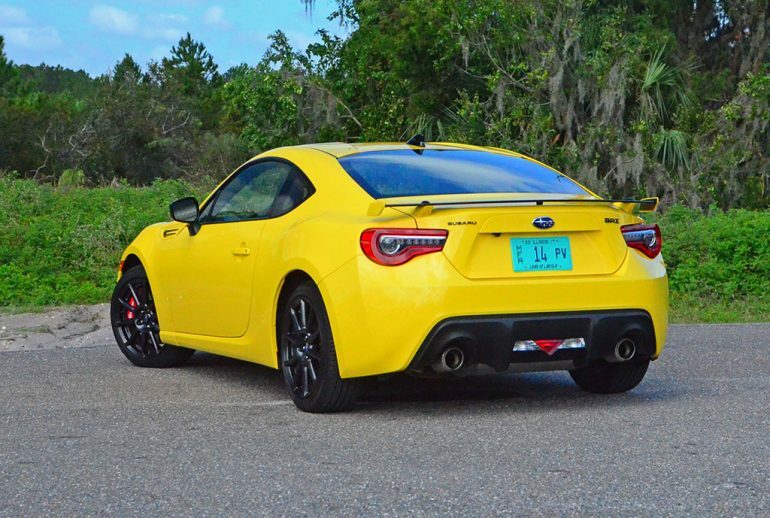 Much like the previous Series.Blue BRZ, the Series.Yellow adds a bit of uniqueness that enthusiasts clamor for in such a vehicle. 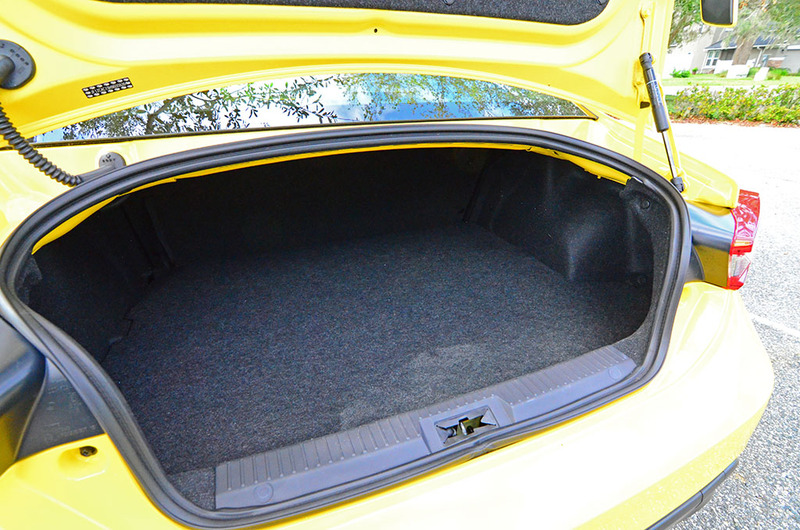 The colored trim accents found on the Series.Blue are now done in Yellow for the Series.Yellow, just as its naming represents. Much of what we’ve grown to love in the BRZ is still intact, including the smallish steering wheel controlling a razor-sharp electric-assisted steering rack, a limited-slip rear differential, nicely bolstered sport cloth seats, an exceptionally low center of gravity thanks to its flat-4-cylinder engine, and enough oomph to reach 60 mph in about 6.3 seconds. 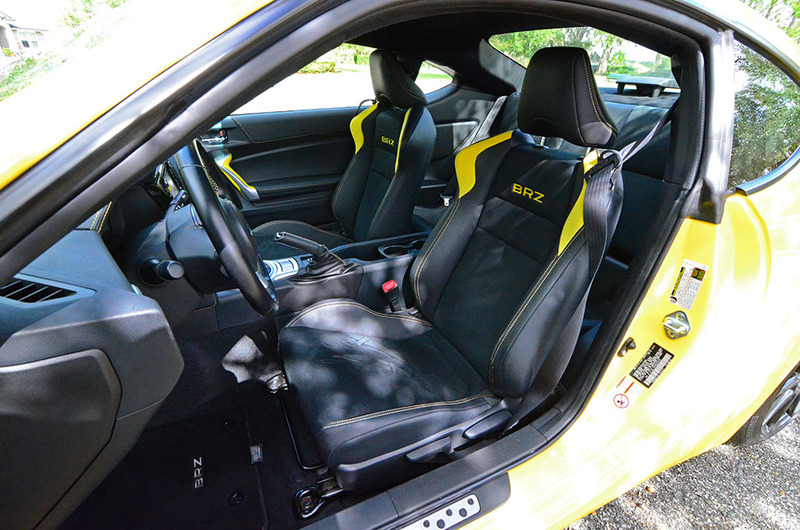 The overall experience in a new Subaru BRZ Series.Yellow has been ever so slightly elevated. 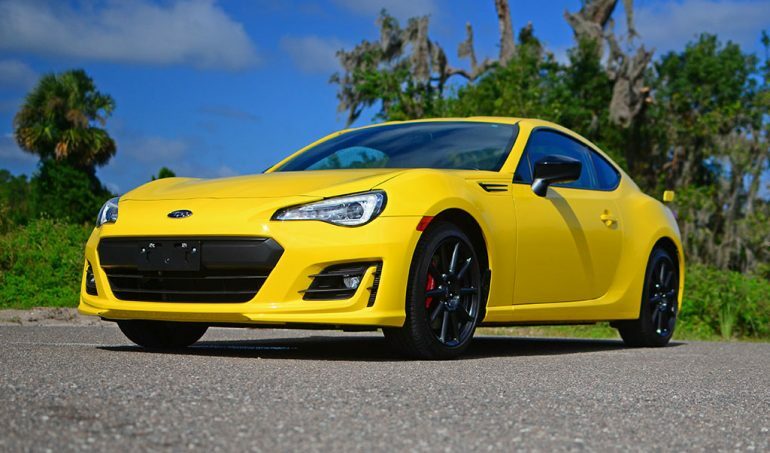 In the confines of what the BRZ is all about it ultimately delivers the most fun you can have in a rear wheel drive sports car without getting into trouble. 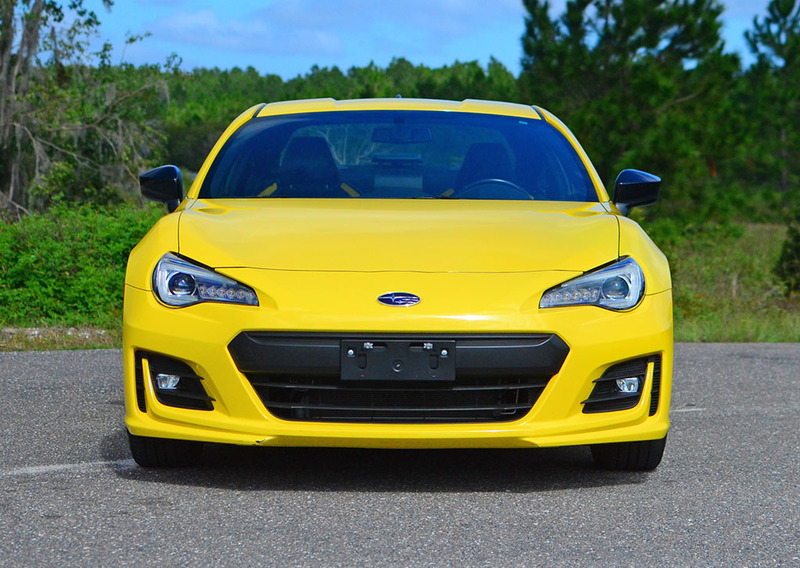 Pushing the BRZ to the brink is even fun – you don’t fear for your life and payment of forbidden insurance deductible. 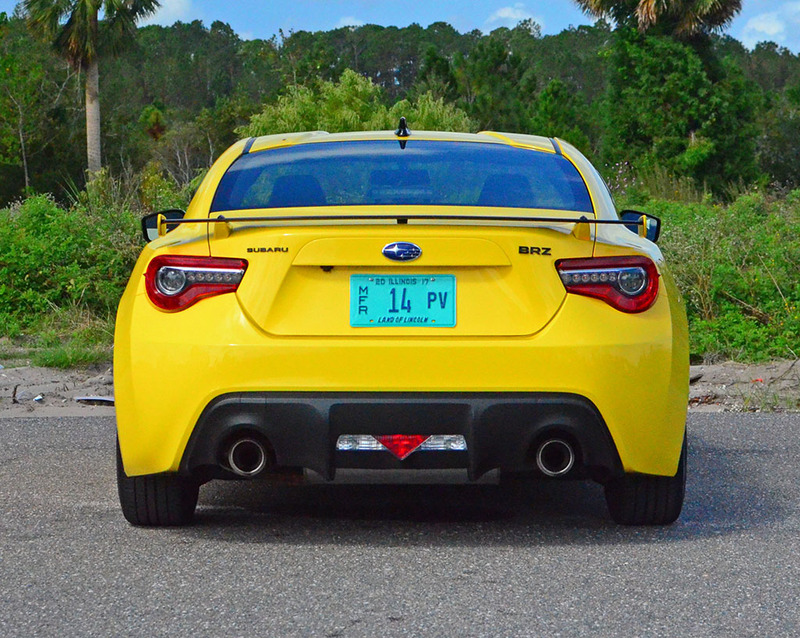 Though, such statements are not an indication of the BRZ being slow. 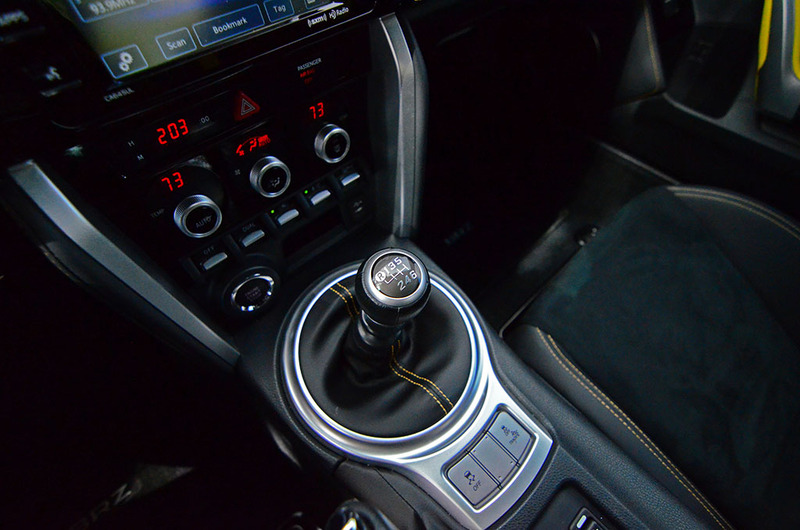 It’s more of a “connected” and somewhat analog vehicle with a raw driving experience when you have a 6-speed manual and turn off the stability and traction control. 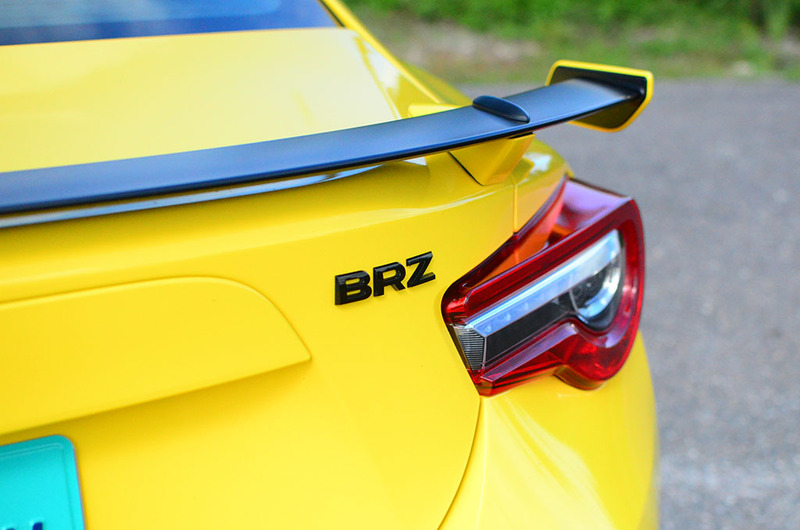 In a nutshell, the BRZ is a rarity among sports cars and exotics of today. 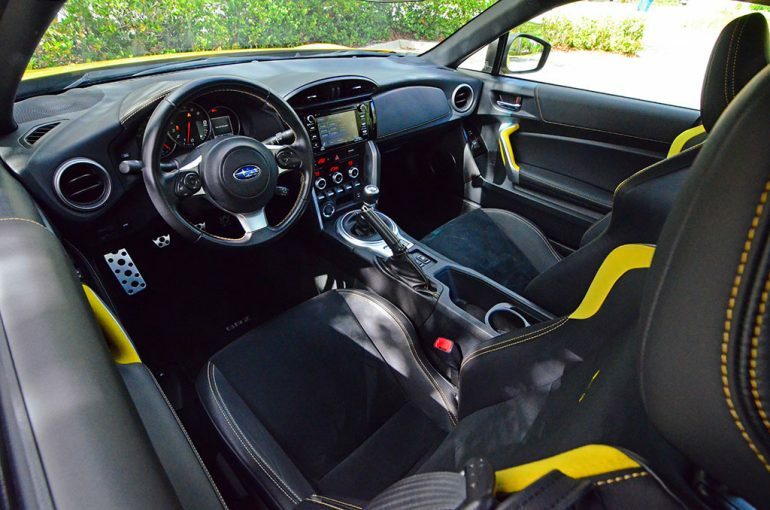 Where the Subaru BRZ continues to fall short is in the obvious areas of its tight interior space, the want for additional power, and the faltering Michelin Primacy HP tires that tend to screech and lose their grip when faced with stringent demands. 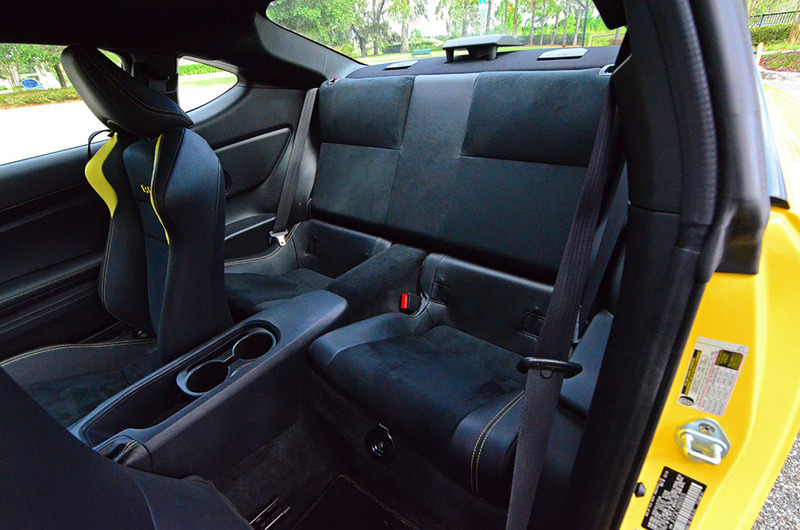 Otherwise, the Subaru BRZ retains its affordability with a price just at $30,000 out the door. 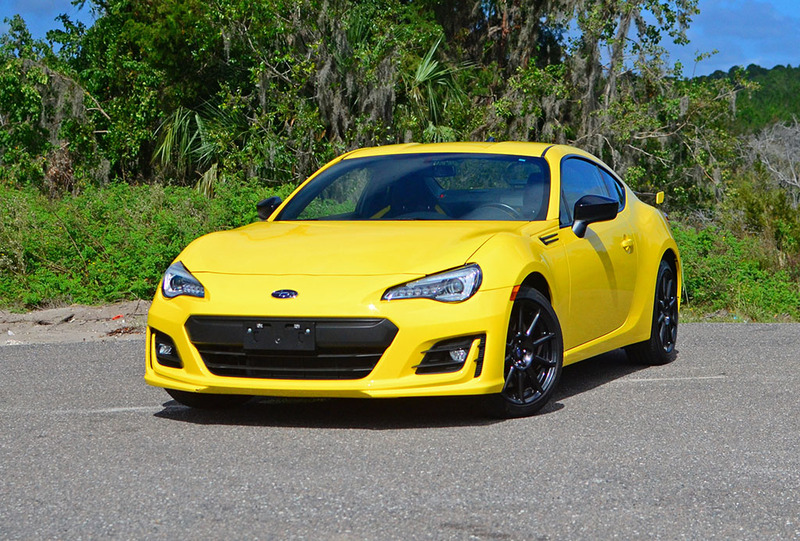 In all, the BRZ is one of the best foundational vehicles for new-age tuners who often pay homage to the purists of the past.